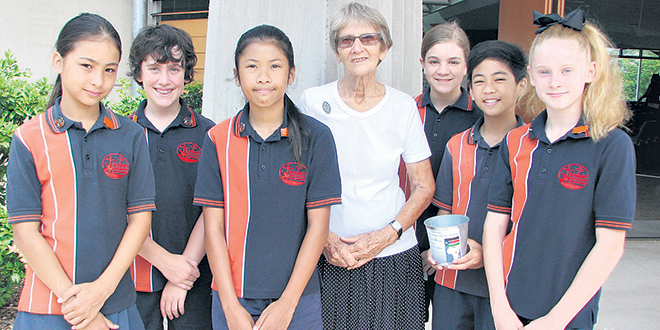 OVERCOMING hatred is the most urgent prayer intention for South Sudan, Queensland missionary Sr Rita Grunke said. She knows from first-hand experience, having lived and worked among the people there for more than a decade. The Daughters of Our Lady of the Sacred Heart Sister is home on leave and was a guest at Mass on Sunday in the northern Brisbane parish of Bracken Ridge. “Hatred is just a terrible force,” she said. “I know love is much greater, but hatred is a terrible thing for people to carry in their lives. “And, now in South Sudan, there is terrible, terrible hatred expressed horribly, brutally, savagely, primitively – however you want to name it. “It’s savage, it’s terrible, and people are dying in the most brutal, horrible ways – not just one here and there. It’s happening en masse. “But where it is happening, sadly, is in the north of South Sudan, mainly around the oil wells – around Malakal, Bentiu– and it’s all needless. Even though the violence may be worse in the north, Sr Grunke is well aware of hatred and division between tribes where she lives in Mapuordit in the Rumbek diocese further south. “Our parish serves six different tribes and, on Sunday when I go out – okay, (so and so) may not come with me to there because he’s an enemy to that tribe (and someone else) can’t come with me to (another place) because he’s an enemy …,” she said. “And it is so complicated, and yet, they’re just killing each other which is a most terrible, terrible thing. “So prayer is (what) we need to overcome this hatred. “And we’ve got to have the hope that we will overcome hatred. It’s a terrible thing. Sr Grunke thanked the Bracken Ridge parish for its ongoing support in prayer and in raising funds to build much-needed wells for the communities she serves. Support mustered by the parish’s World Action Group has raised enough money to build eight wells. “All I can say is, on behalf of all of these people, we are just so, so grateful,” Sr Grunke said. Sr Grunke will return to South Sudan at the end of December to answer a call she cannot resist. “God keeps me going back … and the people – the people and their needs, and the little bit that the presence of religious sister can add to that,” she said.